Talks collapse on border deal as US government shutdown looms - SABC News - Breaking news, special reports, world, business, sport coverage of all South African current events. Africa's news leader. 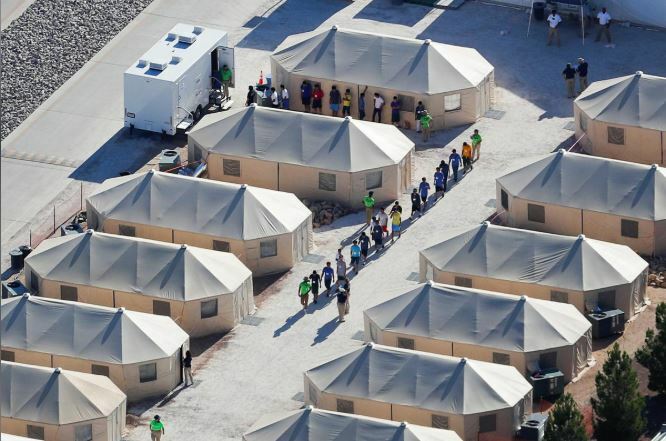 Immigrant children now housed in a tent encampment under the new "zero tolerance" policy by the Trump administration are shown walking in single file at the facility near the Mexican border. This entry was posted on 11 Feb 2019,06:05AM at 6:05 AM and is filed under World, Homepage Featured Story Slider. You can follow any responses to this entry through the RSS 2.0 feed. Both comments and pings are currently closed.